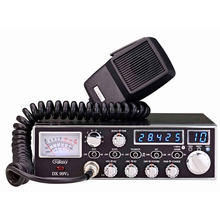 Galaxy DX99V2 10 meter amateur mobile radio transceiver is the only true all mode radio offered by Galaxy Amateur and CB Radios. The DX99V2 is the upgraded DX99V 10 meter radio. Known everywhere as the DX99 or just the Galaxy 99, this 10 meter radio is a powerhouse for the serious user! The DX99V2 is capable of operating on AM/FM/LSB/USB bands providing the ultimate versatility in a 10 meter radio. Designed for use by AARL Licensed Amateur radio operators on the 10 meter radio band these radio are not designed for use on the 11 meter Citizens Band Radio network. The Galaxy DX99V2 features the same superior quality main circuit board found in the Galaxy DX98DHP. The dual MOSFET finals draw less than 10 Amps, allowing the DX99V2 to run more efficiently while using standard gauge wiring. The DX99V2 can be connected where ever any standard gauge radio wire is in use, such as under the dash of cars, pick-ups, and semi-trucks, without fear of shorting out the wiring circuit. The streamlined chassis holds a front mic jack which affords ease of mounting in even the tightest of spaces i.e. between or under consoles. On demand echo cancellation and voice changer circuitry are controlled from the front panel of the DX99V2 allowing the operator to customize audio output patterns for best reception on the 28 MHz band. On board talkback provides positive feedback that your messages are getting out over the airwaves as intended. The Blue LED frequency counter is complemented by the Red modulation performance lights making it easy to confirm you're putting the right amount of power on your authorized frequency without having to strain your eyes in lower light conditions. The Galaxy 10 meter DX99V2 amateur radio will perform at its best when matched to a high quality 10 meter radio antenna. Galaxy radios are among the highest quality radios offered on the market today. Galaxy high quality standards that all warranty issues are handled on at their facilities. Galaxy radios are a top selling CB and 10 meter brand radio here at CB World and we have never had a customer who was unsatisfied with a Galaxy radio. 10 Meter Radios are not CB Radios. There are some big differences between 10 meter and CB. Find out more about 10 Meter radios here! A license issued from the FCC is required to operate any 10 Meter radio. WE DO NOT ACCEPT ANY RETURNS ON GALAXY RADIO PRODUCTS. ANY AND ALL WARRANTY ISSUES MUST GO DIRECTLY TO THE MANUFACTURER. 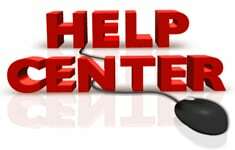 PLEASE BE SURE THAT YOU READ OUR RETURN POLICY BEFORE PLACING YOUR ORDER.Please Note: An amateur radio operator's license issued by the Federal Communications Commission is required for legal transmission on 10 Meter Radios.